Baking Boy: My Bumpy Pumpkin Update! My carved pumpkin! 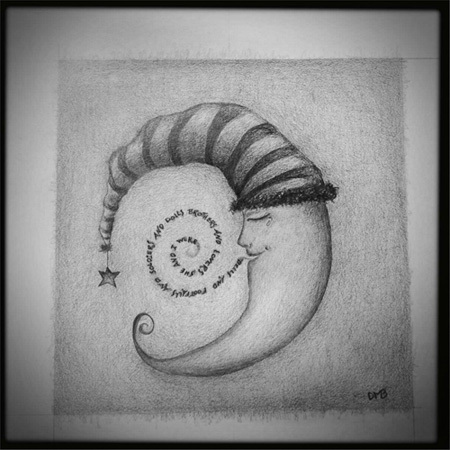 I did a drawing years ago of a sleeping moon. 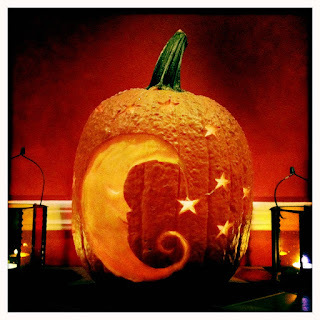 I always wanted to carve something similar on a pumpkin. My pumpkin was not nearly as detailed as my drawing but I'm happy with it. So, not quite as detailed like I said. I mean, it would have taken me 7 hours to replicate that drawing so it's close enough! Rob got creative and decided to carve the back of the pumpkin. Ha ha. The back was really bumpy and he made a scary face. 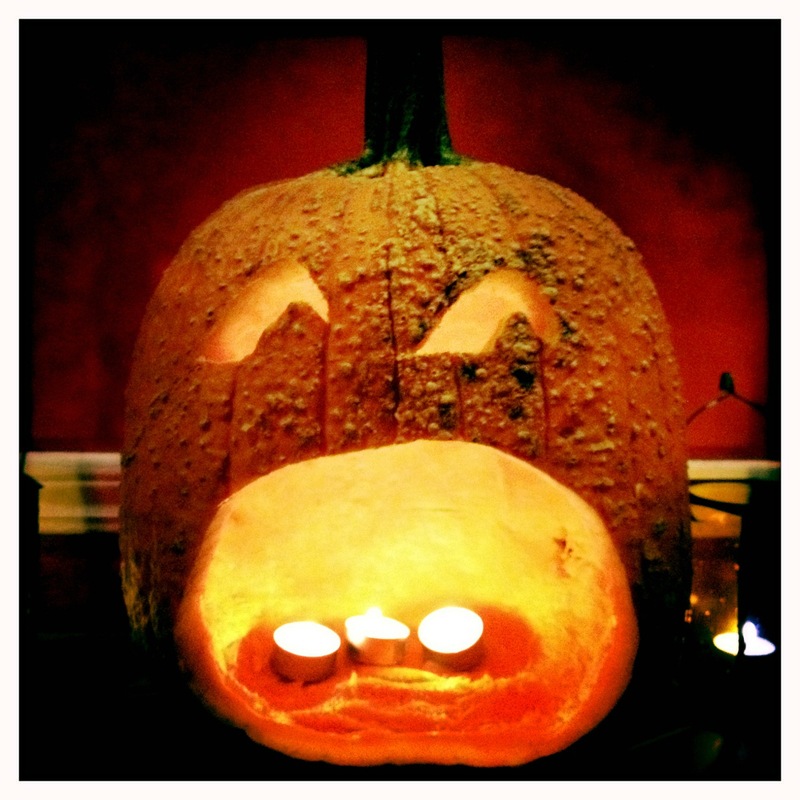 A friend of mine said the pumpkin had split personality. I think she was right! Very funny. Love both sides. One side a sleepy moon; the other, a sock monkey!